This has been a long time coming. All the blood, sweat, and yes even tears have finally paid off. 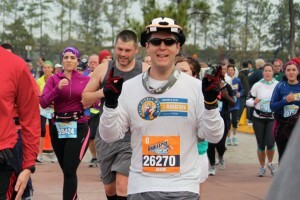 It was almost a year ago when I decided I wanted to run the Goofy’s Race and a half Challenge. What’s that? 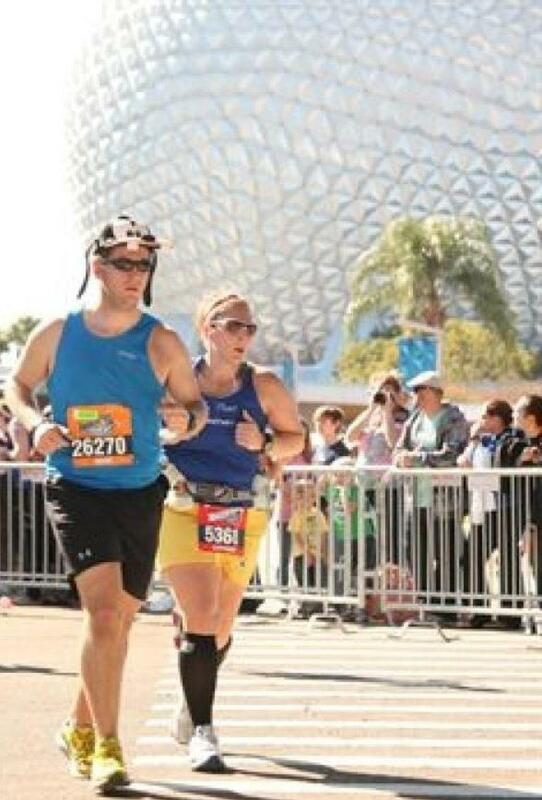 It’s when you run the Disney World half-marathon on Saturday, followed by the Disney World full-marathon on sunday. 39.3 miles in 2 days. 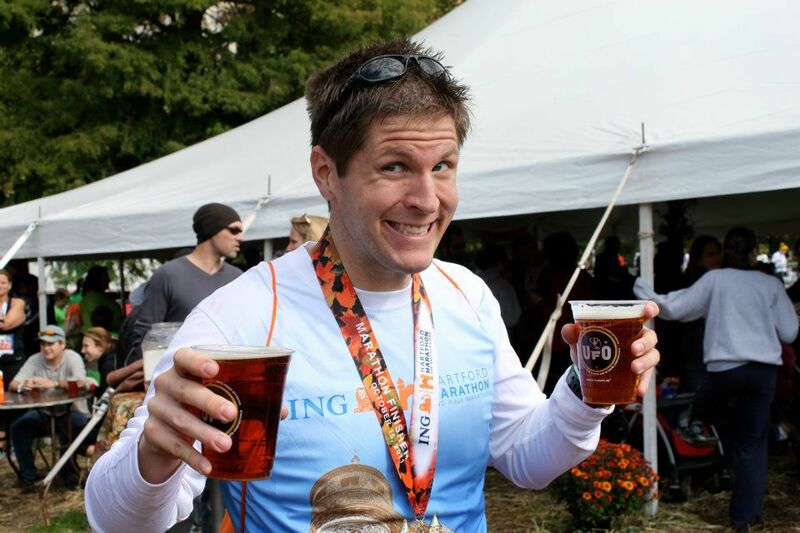 Let me answer your question with a question: am I a runner? Unfortunately I’d injure myself trying to do barefoot running too quickly and had to delay my first marathon which was scheduled for July, to October. I was heartbroken, but worse, I was starting to burn out. In August I just didn’t think I could run anymore. With the help of my amazing girlfriend, Annette, I managed to keep myself from falling apart and make it to Hartford. Hartford was amazing. One of the best races of my life. 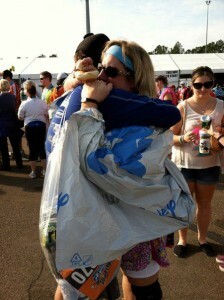 For a full recap, check out my post on my sister’s blog (Couch Potato to Marathoner). I had never been in more pain from running in my life, but it was totally worth it. I was a marathoner (and earned my post-race beers)! Now my training shifted focus to Disney. Finally, what I’d been waiting for, for as long as I can remember. It was finally coming. After a week break (no running allowed said Coach Sara!! ), I was burning and ready to go! I started my back-to-back long runs and off I went. Nothing would get between me and my goal. I would train like never before, I would do whatever it took. I’ve never wanted something so bad in my entire life. Not only did I get stronger, faster, but my recovery shot through the roof. I could run back-to-back with no pain, no weakness. I felt like I was becoming invincible. Eventually during my training runs I capped out at 13 and 20 miles back-to-back. At this point I knew I was ready, and my taper started. Easy, almost effortless. Oh, and I still managed a new PR of 2:23:50, a nearly 14 minute improvement over my old PR. This was at a comfortable pace I could have run for another 20+ miles, but I needed to save my strength for day 2. I finished the race and waited for my family. 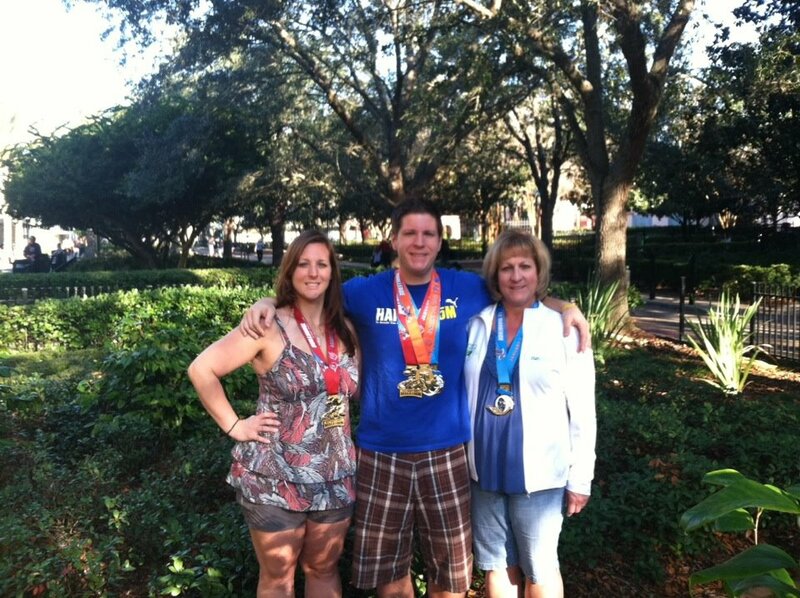 My mom had been running the race too in her first half-marathon. I was so proud of her. We hugged, she cried, I cried. “I did it Jay” she said. That was enough to make me break down. The rest of the day I relaxed and mentally prepared for the 26.2 to come the next day (oh and I ate an entire medium pizza). My sister, poor kid, had been sick. She was worried about the race. She’d been feeling sick lately and I told her I’d run with her to make sure she finished. It was the least I could do for her, after she did the same for me two years ago in the 2010 Disney World Half-Marathon. She was worried about messing up her time, I told her, my time didn’t matter, there will be other races, and making sure she finishes is more important. The race was very difficult for her. 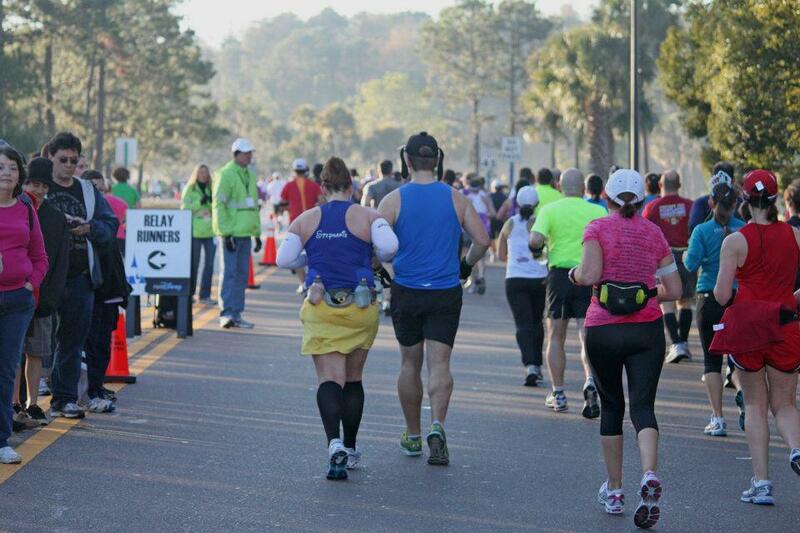 She felt ill nearly the entire race, and we had to stop a couple times for her stomach issues. Remember runners, rule #1, nothing new on race day (except stuff like my silly Goofy hat, the power-aide did not agree with her stomach). 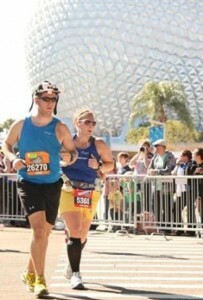 We chugged along and I felt great the whole time, pacing her out, telling her to shut up and conserve energy. Eventually towards the end my calves started getting a little tight, but not too bad overall. For the full race recap (she did a fantastic job), check it out over on her blog. 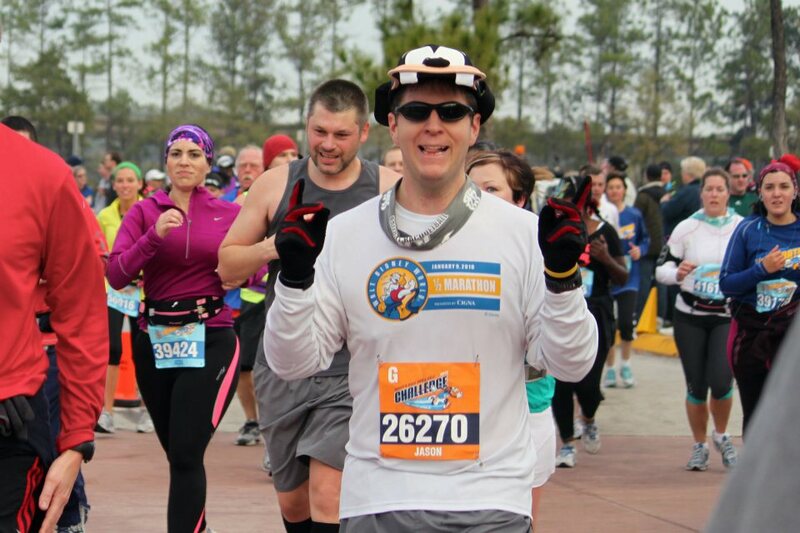 While at Disney and on our celebratory cruise, I also had the chance to read “Born to Run”. Whilst running my races that weekend, it struck me, I had a huge smile on my face; I love running. The problem with running for many, is that they’ve forgotten how to love running. We were, in may ways, born to run, and it just feels so natural, but many have been conditioned to think of running as punishment, and that is truly unfortunate. While on the cruise, Coach Sara told me I could do anything I wanted to do. Not only did I run, but I ran about 10 miles total that week, doing laps on a cruise boat. I was just as happy running those laps as I am when I hit the Charles River during the Spring. It’s funny because we were never a super athletic, or even healthy family. 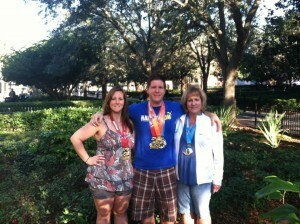 Now we’re a family of healthy runners, and even better, marathoners.